This furniture is functional, coffee table and can become computer desk. This simple coffee table has a modern minimalist design and is formed by a continuous sheet of bended wood. The table is available in black or white finish. 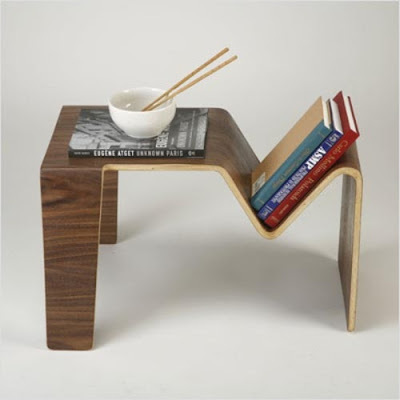 If the table stand horizontal it become coffee table. 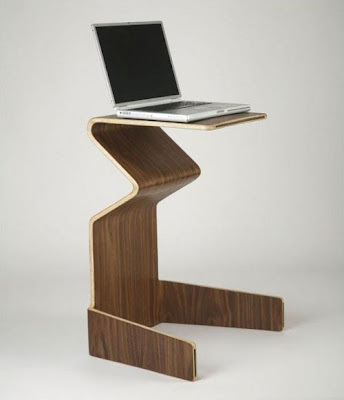 If it stand vertical it become computer table. Multifunctional Furniture – Coffee Table become Computer Desk.